I love cooking shows with quirky original cooks. The hairy bikers for example, or Lea Linster. She’s a top chef from Luxemburg and a very funny charming lady. 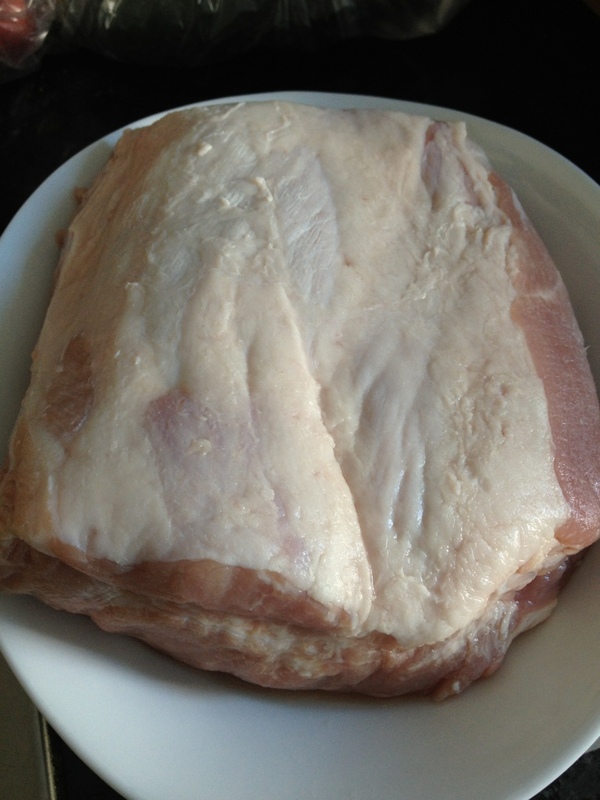 Today I tried out her recipe for slow roasted pork. And when I say slow I mean slow: 4-5 hours roasting time in the oven. 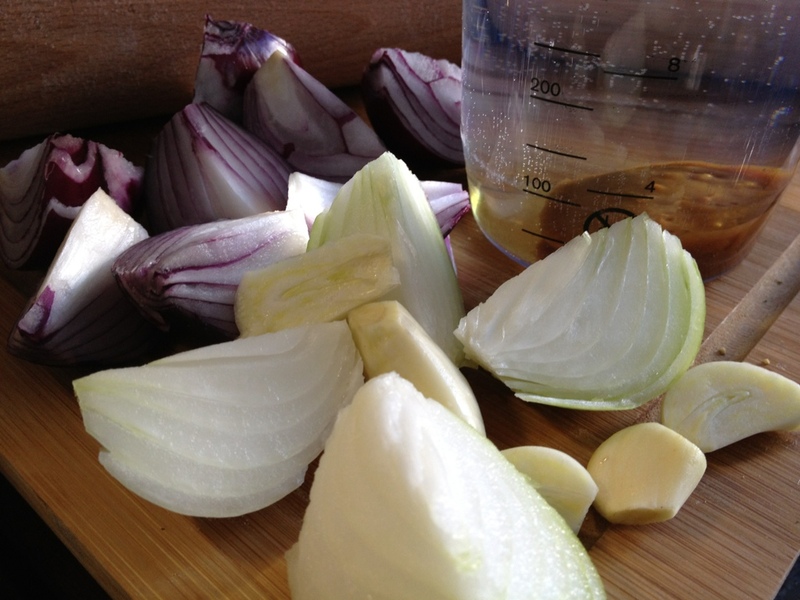 The recipe was published in the German women’s magazine Brigitte and you find it here. 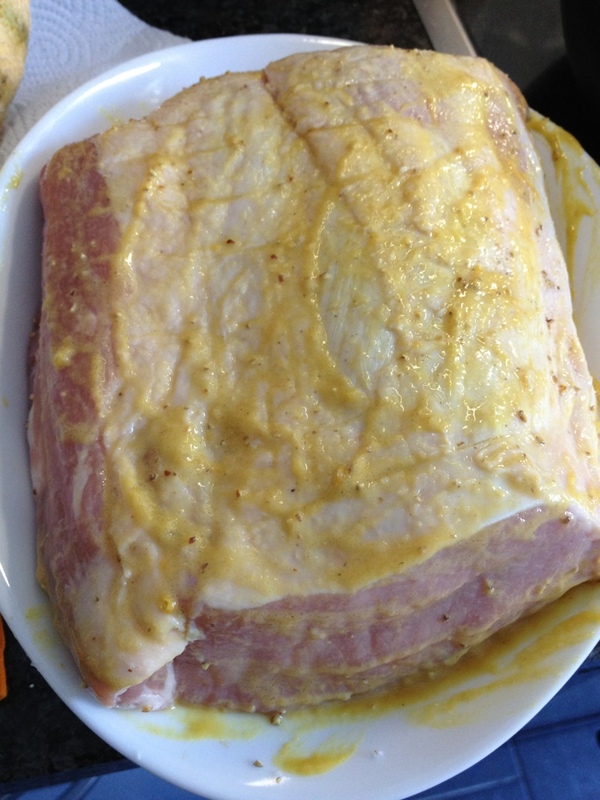 First I salted and peppered the pork and then rubbed mustard all over it. a hot pan. 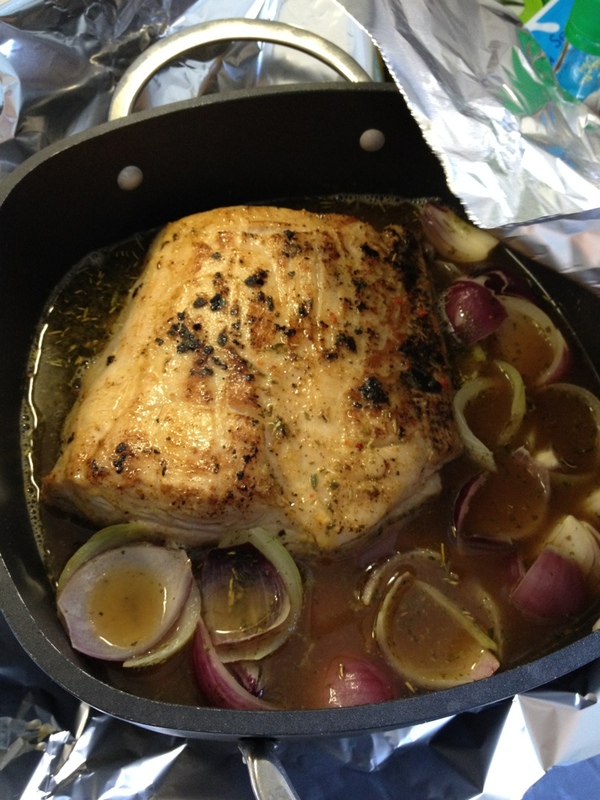 Then I put the pork in an oven proof dish and scraped the bits that remained in the pan off with a splash of white wine and added onions and garlic (2 pieces each) and 400ml beef broth. 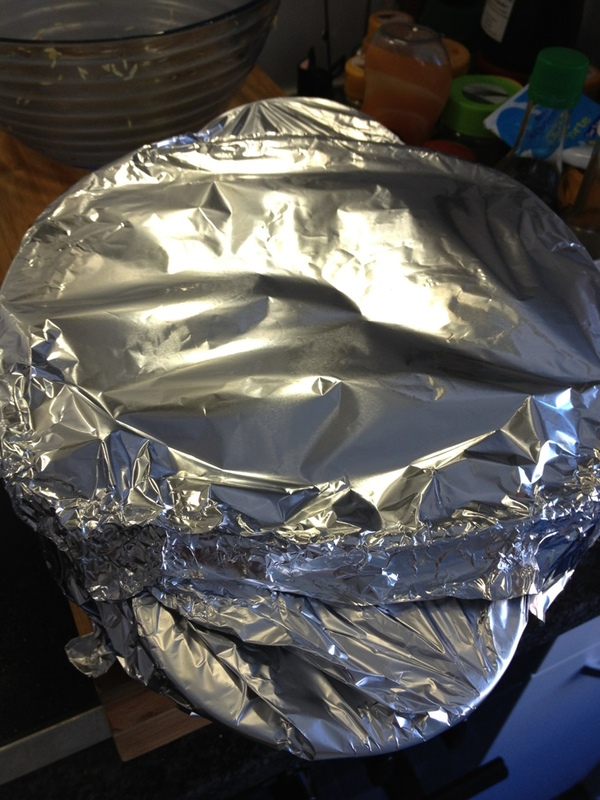 I then poured the boiling broth into the dish with the meat and sealed it well with tin foil (to keep all the moisture in). And off it went into the oven at 140C for 4 hours. 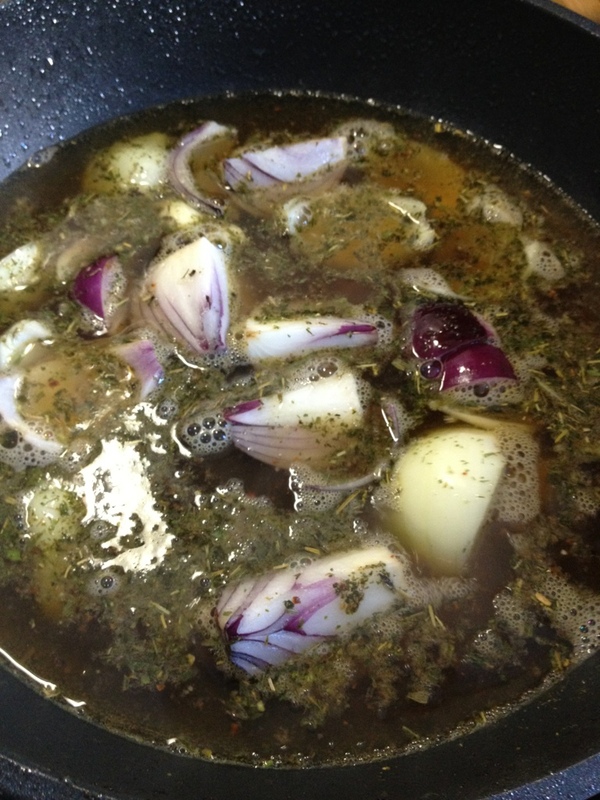 About 45 minutes before dinner time I prepared the mashed potatoes by boiling the potatoes until tender enough to mash. 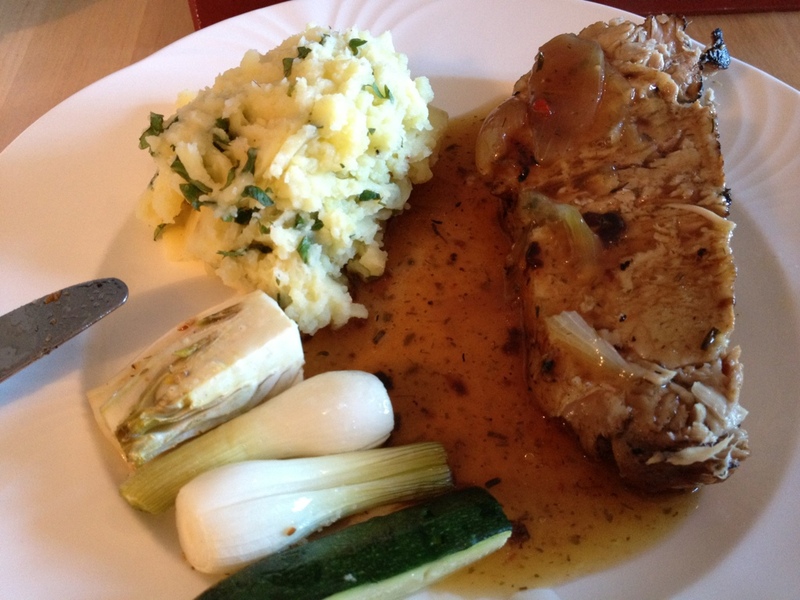 In the German magazine Essen & Kochen I found an unusual mash recipe that adds coriander, lime and chili to the mash. I love coriander and had to try it. 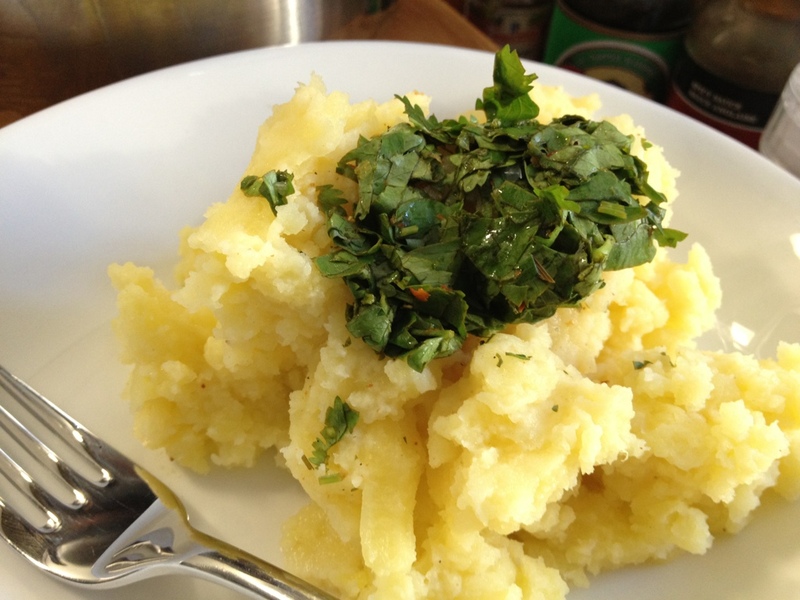 Simply add chopped coriander leaves, chopped chili and lime juice (I used half a lime for 2 portions of mash) to your mash. 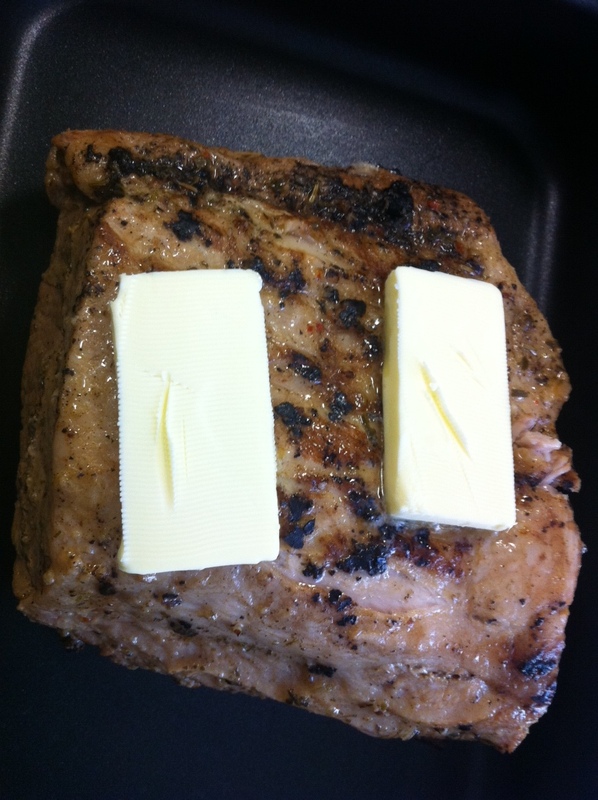 To finish the pork I removed it from the dish and put it briefly under the grill with some butter on top. I brought the sauce to the boil to thicken it. It needed no extra seasoning. 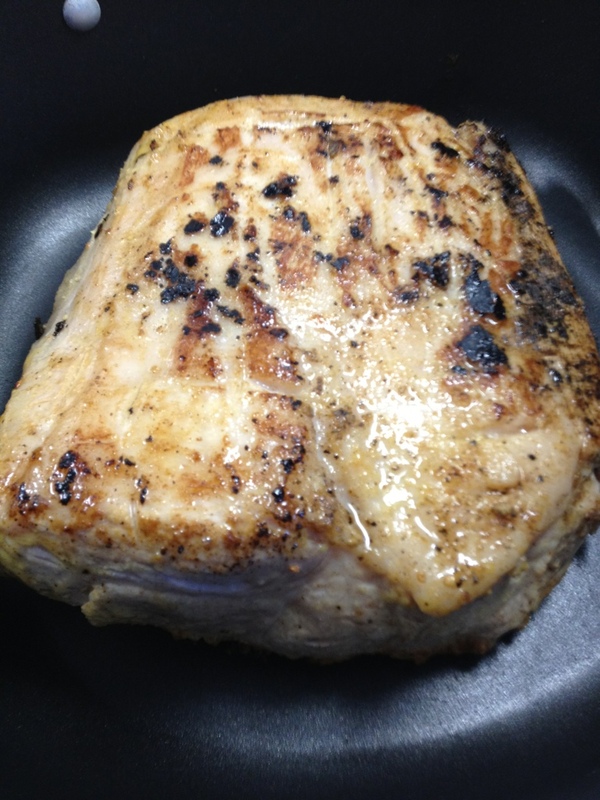 The pork turned out perfect! Soft but moist. 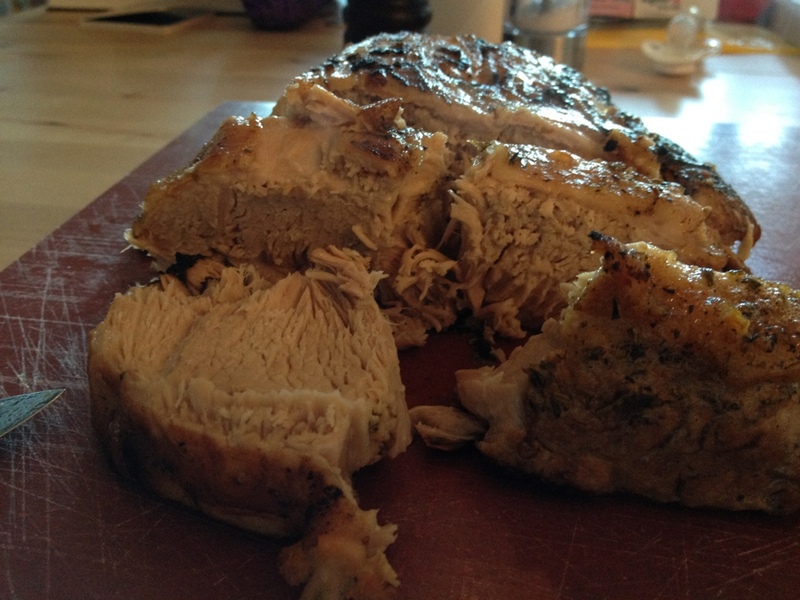 The coriander and lime mash complemented the pork very well and tasted fantastic as well. My boyfriend, however, preferred the regular mash and the coriander/lime/mash combo won’t be liked by everyone.